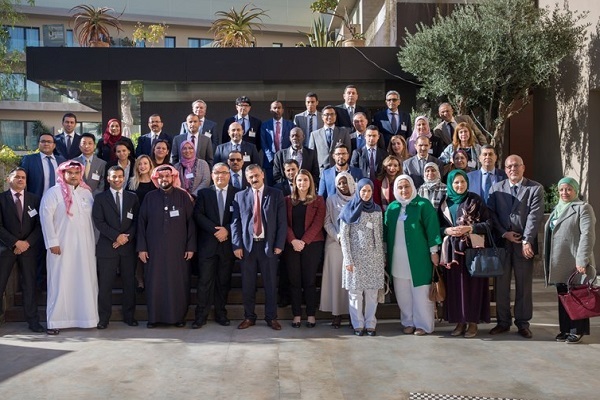 eading officials of International Trade Centre (ITC) met representatives of Arab countries at a key meeting held in Marrakesh to take stock of the recent progress to lower barriers to trade within the region, while charting a course for future regional integration. The December 11 to 12 gathering, held in collaboration with Mena government agencies and trade and investment, brought together about 50 participants from 11 Arab countries and multiple international organizations. The event followed on a 2014 high-level regional roundtable on non-tariff measures (NTMs) in Tunisia, where participants formulated recommendations to reduce NTM-related trade costs for businesses seeking to do business across the region. It sought to review progress made in the intervening years, and to serve as a platform for participants to share ideas and new national and regional initiatives, and to define a shared roadmap for the future. Lassaad Ben Hassine, manager of the Aid for Trade Initiative for the Arab States (AfTIAS) programme, a multi-donor, multi-agency partnership, praised the event in Marrakesh as well as ITC’s work in the region. ‘For the International Islamic Trade Finance Corporation (ITFC), the NTMs project is one of the most important projects implemented by ITC under AfTIAS program,’ stated Hassine. The workshop would generate ideas for projects under the next phase of the AfTIAS programme, he added. Participants agreed that information - access to reliable trade and market information together with quick responses to traders from government enquiry points are necessary for streamlined trade, said the senior official. Several Arab countries plan to digitize customs procedures and go paperless in the coming years, he added. In recent years, the Arab world took important steps to make their economies more competitive and less dependent on oil exports. From 2008 to 2017, non-oil exports rose from $222 billion to almost $400 billion. By fostering more trade among neighbours, better regional integration would support countries’ export diversification efforts. ITC has since 2014 developed tools and analysis to support Arab governments’ efforts on both fronts. In the area of quality and standards, delegates recommended that the region’s national standards should develop common positions on the formulation of international standards and promote best practices with regard to market surveillance.